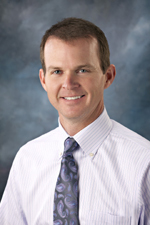 Dr. Anderson graduated from the University of Iowa in 1997, where he received many honors in clinical treatment. He stayed at the University and taught for a year upon completion of his degree. Dr. Anderson travels around the United States to gain advanced training in areas such as CEREC, Invisalign, Oral Conscious Sedation, advanced Cosmetic Dentistry, as well as treatment for Occlusal bite Disease and TMJ. Dr. Anderson is a member of many organizations including American Dental Association, Davenport Iowa Dental Association, Dental Organization for Conscious Sedation (DOCS), the American Academy of Cosmetic Dentistry,and the American Academy of Computerized Dentistry. In Dr. Anderson’s spare time he enjoys spending time with his family. Dr. Anderson and Paula share four active daughters. They spend much of their free time at their family cabin in Wisconsin. Dr. Anderson is an excellent muskie fisherman, and not too bad of a golfer.